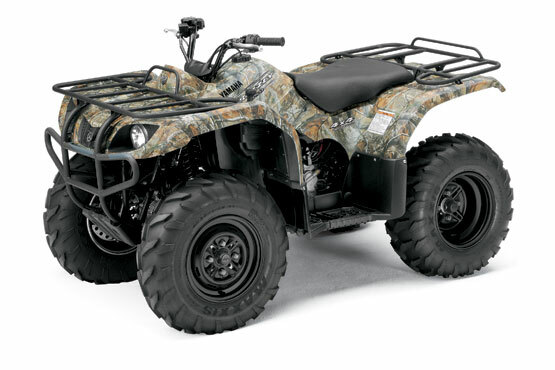 This high-value, solid rear axle Grizzly 350 offers up reliability and function at a great price. Some are bigger. None are tougher. A mid-sized 4WD ATV with our exclusive fully automatic Ultramatic transmission, On-command 2WD/4WD, solid rear axle, front disc brakes and more. ” The power-packed, full-featured Grizzly 350 Automatic 4×4 solid axle carries a lot of advanced Yamaha ATV technology in an affordable package. 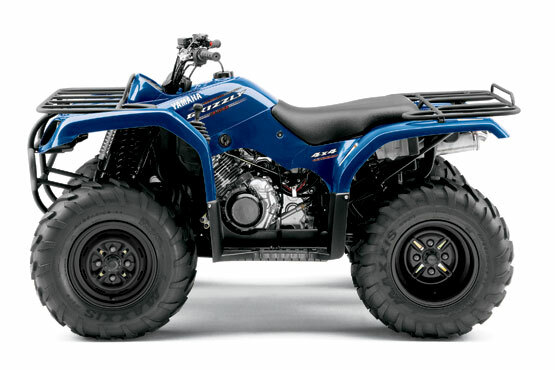 ” Class-exclusive fully automatic Ultramatic® transmission is the most advanced drive system in ATV-ing, with an automatic centrifugal clutch that maintains constant belt tension for reduced wear, instant response and class-exclusive front-/rear-wheel downhill engine braking. ” Class-exclusive On-Command® 4WD means switching from 2WD to 4WD is as simple as pushing a handlebar-mounted button. ”	Left-side-mounted F/N/R shift lever keeps throttle hand free while shifting. ”	Class-exclusive wide, fully integrated floorboards help keep feet dry, and serrated footpegs provide extra grip in wet conditions. ” Class-exclusive large-diameter ventilated hydraulic dual front disc and single rear drum brakes deliver tremendous stopping power in a variety of conditions. ” 9.7 inches of ground clearance and high-impact plastic skidplate improve maneuverability and undercarriage protection. ” 32.6-inch seat height for great handling. 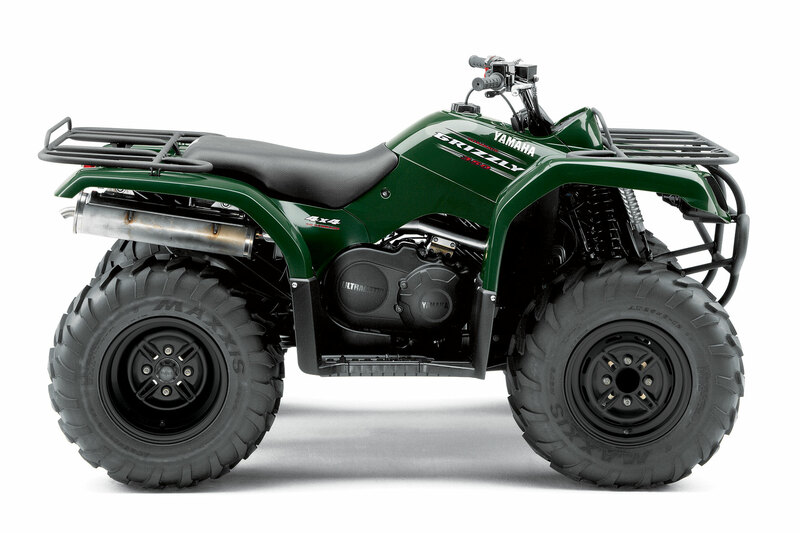 ” Sturdy steel swingarm and single rear shock feature five-way adjustable preload and 7.1 inches of travel.